At least eight people, including three children, are dead after a massive storm that rolled through the south over the weekend. Four people were killed in Texas, two in Louisiana, and one in Alabama and Mississippi. 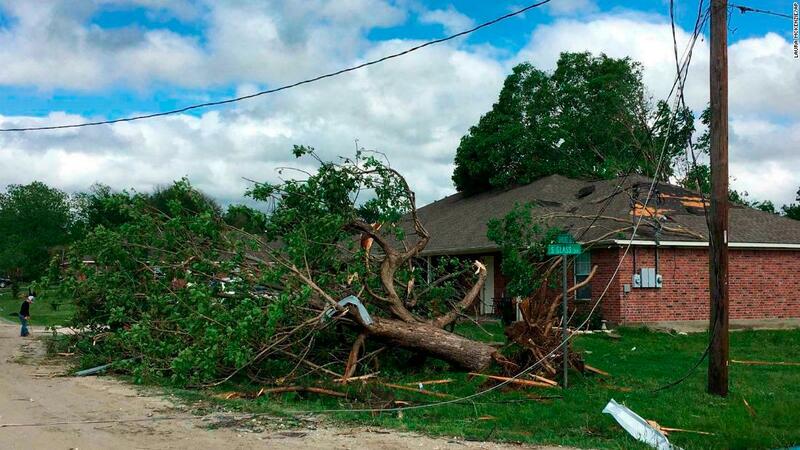 A tornado, an EF-3, touched in Robertson County, Texas, with winds up to 140 mph. The storm barreled east, putting 90 million people under the threat of tornadoes and other difficult weather from New England to the Gulf Coast. 3 while delivering medical equipment to northern Syria. The Red Cross has kept Akavi's name a secret that it worked to secure her release. But now the international aid agency is making public, because it believes there are "new opportunities" to find her now that all terrorism that ISIS has been liberated. Minnesota Democratic Rep. Ilhan Omar says she gets more death threats after President Trump knocked out a tweet that mixed a speech she gave last month with pictures from the 9/11 attacks. She accused the president of encouraging right extremist violence, some of White House's press secretary Sarah Sanders denied Sunday morning's talk show. In the tweet, Trump wrote: "We will never forget!" and included the speech video, where she told the council about American-Islamic relations "was founded after 9/11, because they realized that some people did something and that we all began to lose access to civil liberties." (CAIR was actually founded in 1994.) Omar's political opponents accused her of resolving the terrorist attacks, but her defenders say her opponent is angry with her president. Police are putting out a really tragic story in Phoenix. A man is accused of killing four people, including his wife and two young children, in a secret dispute. The suspect, 30-year-old Austin Smith, allegedly came home from a bar late last week and accused his wife of cheating on him and shot her with the kids. Police say Smith then drove to the man for believing his wife had a deal with and killed him as well. A 3-year-old girl survived the shootings and found hiding under a bed. Smith has been charged with four bills of first-degree murder along with other charges. Many people had type of written Tiger Woods off. In the last decade, instead of producing championships, he had produced a steady stream of negative headlines: Stories of extramarital affairs, a DUI arrest, and debilitating injuries. But he put it all behind him yesterday at the champions, won it for the fifth time and took his 15th big title (and his first 11-year lead title.) It is one of the sport's comprehensive comeback stories, which led to an ebullient celebration at Augusta National Golf Club. Woods is now just three majores behind the legend Jack Nicklaus' all-time record of 18. Which question: Can tiger pass the golden bear? Spoiler alert! If you are not on "Game of Thrones" than (or do not care) skip this item. Otherwise, let's geek out about all reunions! An * NSYNC reunion broke out during Ariana Grande's headlining seen at Coachella, with "7 rings" songbird filling in for MIA Justin Timberlake. In view of Coachella, Idris Elba took off a deep set so impressive people wonder if he would just forget about the full-blown thing. 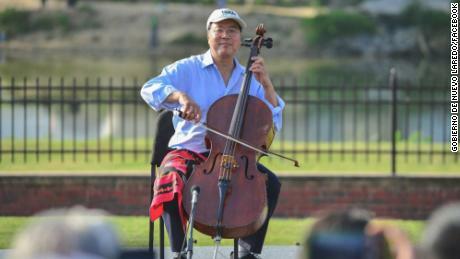 Cellist Yo-Yo Ma took his talents to the border between the United States and Mexico over the weekend, and urges listeners to "build bridges, not walls". 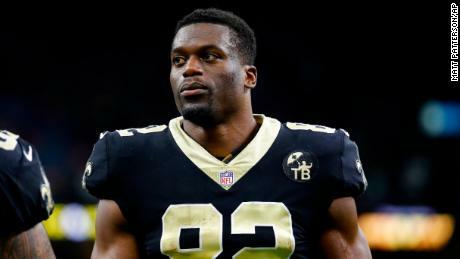 The Three Black Churches in Louisiana destroyed by fire is being rebuilt, and this ex-NFL player wants to let you know how to help. 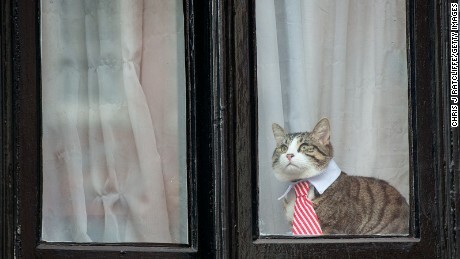 The bigge st question emerging after Julian Assange's gripping last week: what happened to his cat? No worries, the kitty social media star is safe and sound.